Our love for whisky (and whiskey) is well known. Over the past couple of years, we've been tasting what we can, when we can, and growing the drinks cabinet collection. Now Mat has a new house - congratulations to him and Hollie! - there's even more need to get the drinks in; especially as he has way more space for that collection. There's also a need to focus more on interiors, furnishings, and all the over stuff needed for a home. 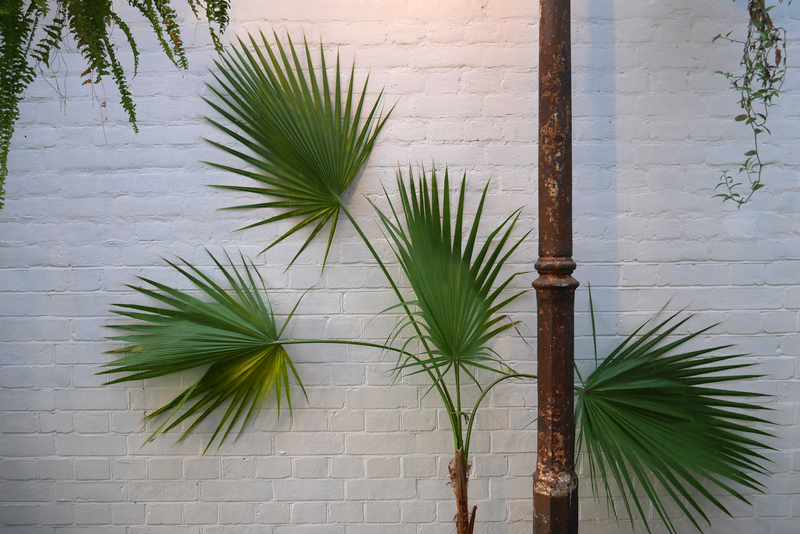 Before you know it, this blog will be interior design only - and that's totally fine, as long as I can keep the drinks for myself. 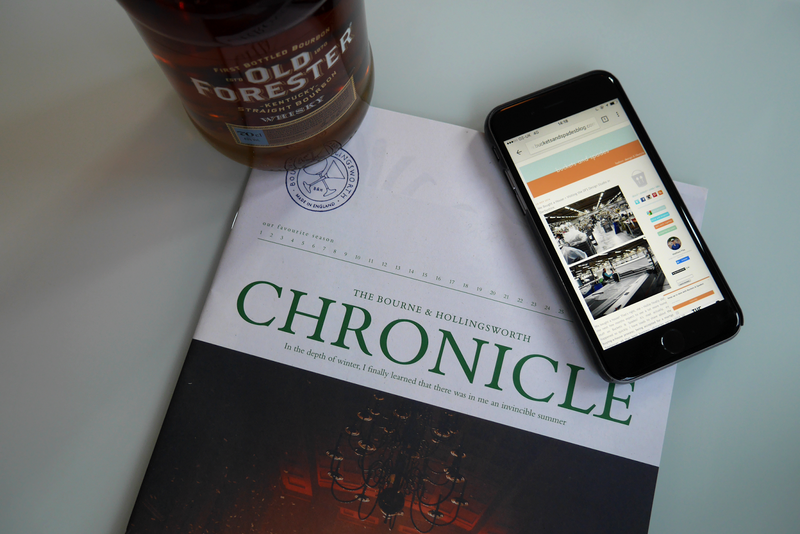 Taking a trip to Bourne & Hollingsworth Buildings to meet with Old Forester Bourbon, was a perfect combination of the two. 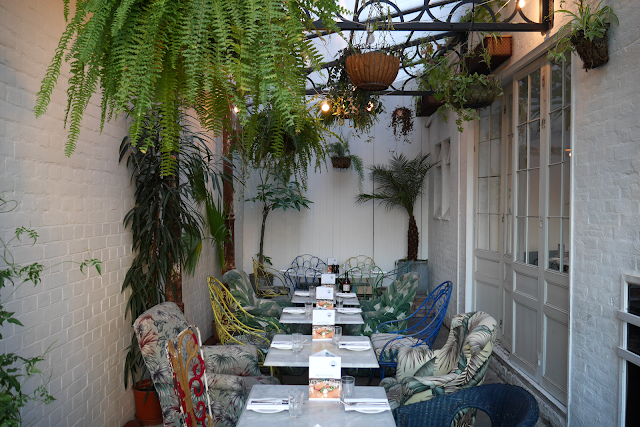 This place has that perfect Instagram-able vibe going on. 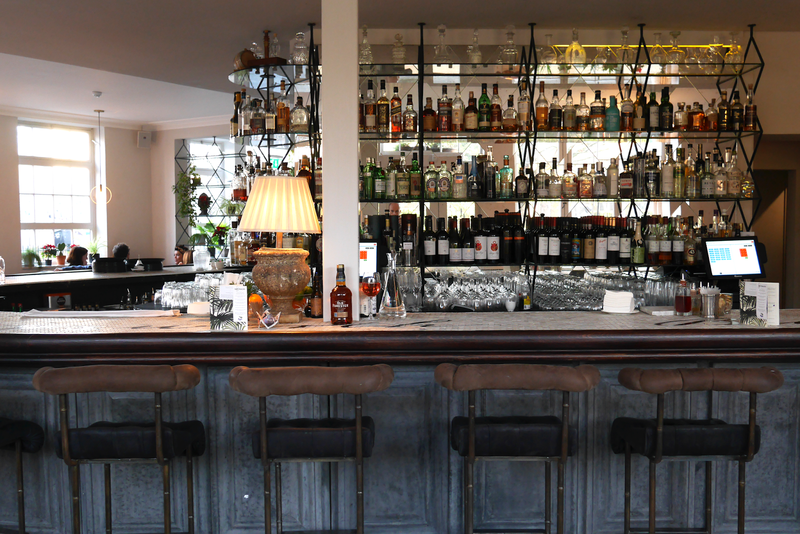 White walls, cool patterns, a long bar sparkling with bottles - the works! I'm sure Mat's house will be looking like this before long, complete with an impressive bar. 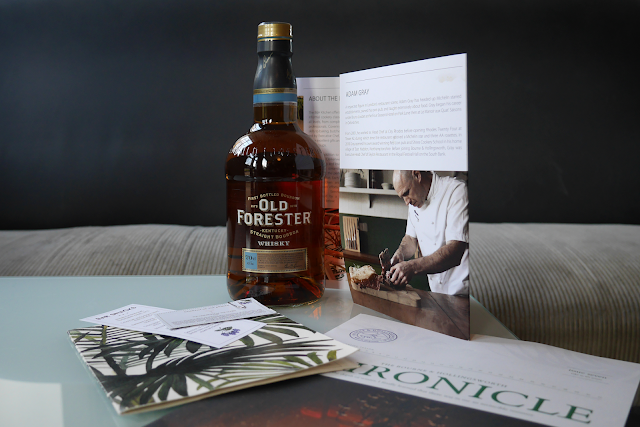 As with any masterclass, Old Forester had invited us down to learn more about their brand. America's first bottle Bourbon, Old Forester has been around for well over a hundred years and one of the only few to have survived prohibition in the US. 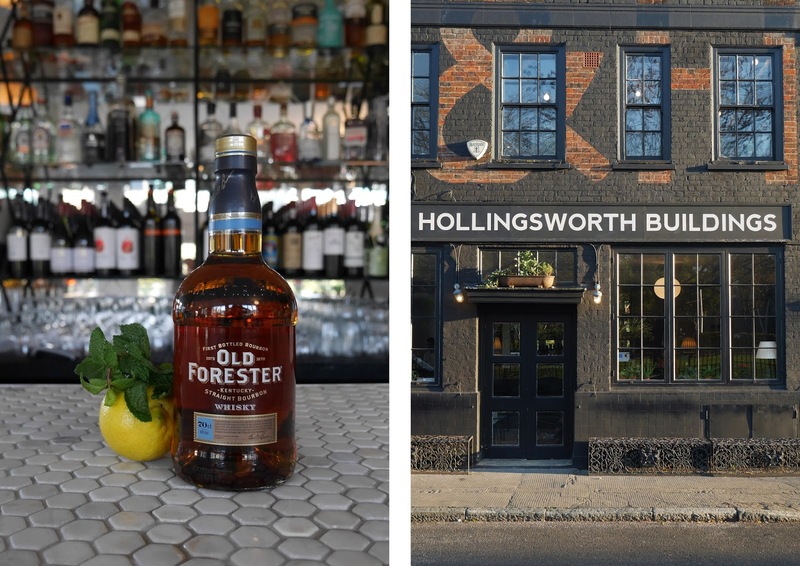 Unlike its ubiquitous brother Woodford Reserve, Old Forester isn't that well-known in the UK and - of course - that's something the brand's looking to change. A smooth Bourbon, with notes of vanilla and spice and a surprising hint of mint in the aftertaste, it's a light tasting dram for its 43% alcohol. • Take a Boston shaker and crush the raspberries into the bottom. Add all of the ingredients and fill to the top with ice cubes. Shake for 10 to 15 seconds and pour, without straining, into a tall glass. • Top with a sprig of mint and a couple of raspberries. • Like all good recipes, this one is simple, easy to create, and needs very little equipment. You don't even have to strain it, as the messy element is part of the drink's charm. • It's a brilliant drink for this time of year, too - red fruits in a cocktail always go down well at Christmas. • Give it a try and let us know how you get on. And, if you get chance, head over to the Old Forester website to have a read about their long and interesting history. You can find Old Forester Bourbon at Tesco priced at £33.95. For more cocktail inspiration check them out on Instagram. This post is in partnership with Old Forester. 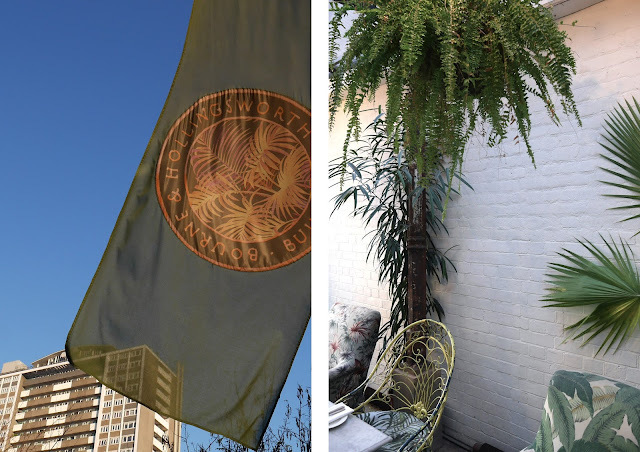 Thank you for taking the time to support the brands + businesses that make this blog happen. 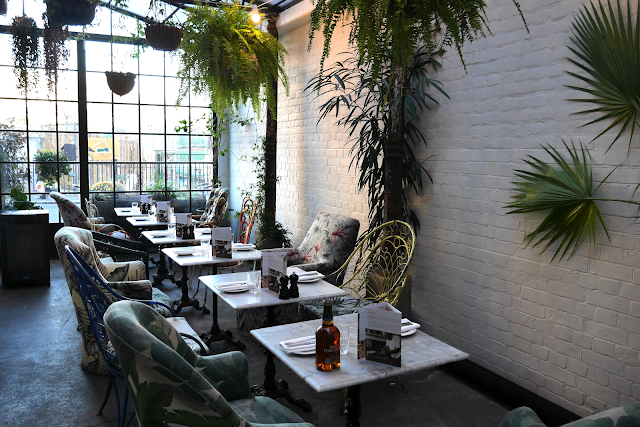 I'm not a whisky man as you guys know, but I can definitely get on board with these interiors. The Bourne & Hollingsworth building looks great to spend a few hours in. We'll make a whisky man of you yet! And yeah, B&H is a great location...in a great location. Me and Mat want to get a guide to the area done soon, so keep on the look out for that. I don't actually think I started to like whisky until I was about 25, at least. There's always time! Same here. And good whisky has only been a real recent thing for me. Like the passed two years or so?